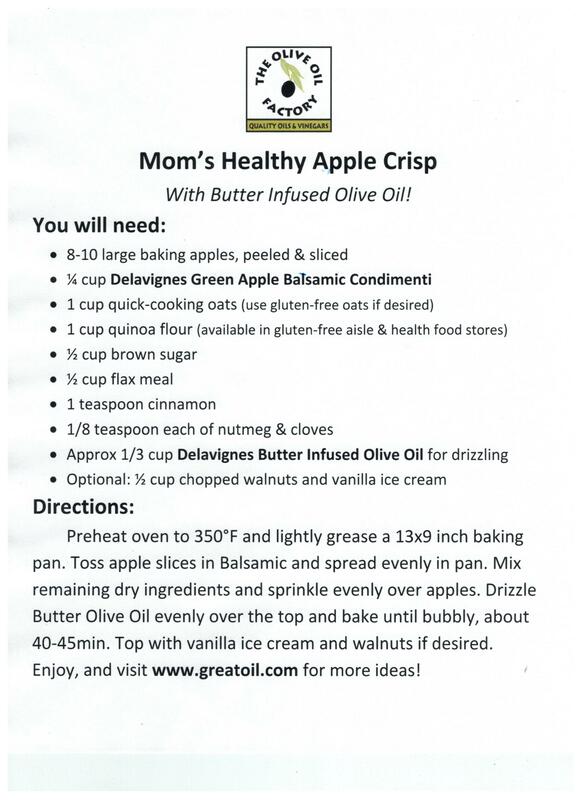 with Lemon & Tangerine Infused Olive Oils! Use your favorite boxed cake mix and our Cinnamon Pear Balsamic for homemade icing! made with The Olive Table's specialty gourment honey! -Live on the wild side: try a drizzle of Cherry Infused Balsamic Condimenti on your next scoop of ice cream!